The holidays are getting closer, and we are all getting ready to indulge in delicious holiday meals and spoiling ourselves with presents. But why should we be the only ones who get to enjoy this holiday? It is the time for giving, after all, so why not let your cats and dogs in on the fun, and surprise them with a brand new toy, some mouth-watering snacks or even a new furniture for them to enjoy? Get in the holiday spirit with these six suggestions you and your pet will love! Now that the days are shorter, it is more important than ever to make sure your dog is fully visible to cars and other vehicles when taking walks in the dark. 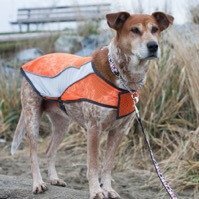 This visibility vest will not only look super cute on your dog, but will provide the visibility it needs to stay safe even on the darkest of evenings. We all want to make sure our dogs gets to enjoy the holiday just as much as us, so let’s make an effort to keep them happy and safe! Not only will this modern and stylish cat tree look great in your home, it will also provide your cat with everything it needs to stay healthy and fit in a safe environment, as well as offer a cozy and quiet place to sleep or relax. 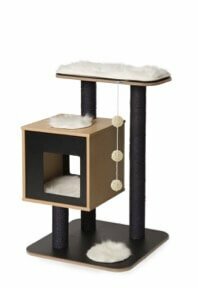 Your cat will be able to enjoy climbing, jumping and playing on this smart and elegant cat furniture, and you can enjoy furniture that will make the room look even classier! The poles also work as scratching poles, so when your cat falls in love with this cat tree, it will stay clear of your precious furniture as well. These tasty treats for your dog will help combat plaque and tartar, as well as treat bad breath. Your dog will adore this healthy snack! It’s made from natural, soluble ingredients that break down fast for safe digestion. Keep your dog healthy and happy during the holidays! 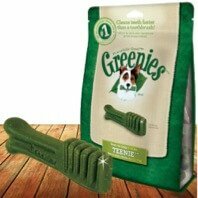 Greenies come in a few different versions; “teenie” for dogs of 5-15 lbs., “petite” for dogs of15-25 lbs., and “regular” for dogs of 25-50 lbs. 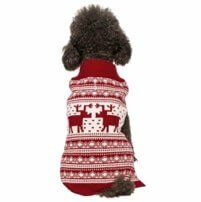 This festive sweater from Blueberry Pet is exactly what your dog needs to get you both in the holiday mood. It comes in six different sizes so you can find the one that will fit your four-legged friend perfectly! 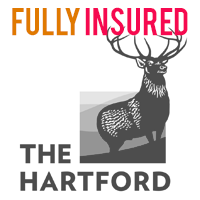 It also comes in different Nordic patterns, and let’s be real – what’s cuter than a knit dog sweater with reindeers on it? You and your dog can both enjoy the holidays with his adorable, festive sweater. If you don’t want your little cat scratching up your furniture, you should definitely invest in this minimalistic scratching post. 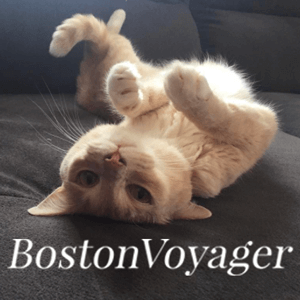 Because you can put it against the wall, it won’t take up all your floor space, and it will also make your cat direct its attention on this great item instead of your furniture. 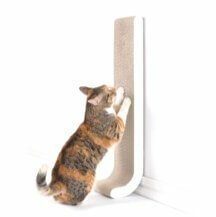 Not only is this scratching post simple and modern looking, but also made from recycled cardboard, and is 100 % recyclable. 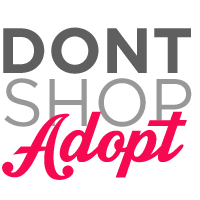 Your cat will love it, and so will the environment! We all put some extra effort into our appearance during the holidays, so why not pamper your pet friend a little extra this Christmas, and give them a proper grooming? 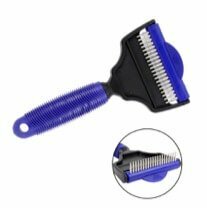 Both cats and dogs will enjoy this vet approved comb, and because it effectively remove loose hair from the undercoat without hurting or damaging the fur. This comb is suitable for cats and dogs of all sizes, as it comes in three different sizes to cater to your pet’s size.